The Cadillac ATS-V is supposed to be extremely quick, grippy on the road and track, and, above all else, highly enjoyable to drive. Nearly three years after its debut, we thought it deserved a reevaluation. Here’s the weird thing about this particular car. Nearly everyone on the Jalopnik staff has driven it by now. Unlike the pubs where most staffers are located in, say, Ann Arbor or Los Angeles, we’re all over the place—we’re in New York, LA, Texas, North Carolina, Detroit and more. But strangely, all of us have had seat time in this thing, which is rare. Alanis King drove it on the track. David Tracy took it camping. Kristen Lee also drove it on the track. Contributor Andrew T. Maness drove one through Germany. Patrick George also drove it on the track. David Tracy also admired its cooling system. Shooter Kurt Bradley drove from Austin to Indianapolis in it. Michael Ballaban drove it in our nation’s capital. Raphael Orlove and Michael Roselli drove one in Pebble Beach. I’m probably the last person on staff to have driven the ATS-V, and that’s largely because I’ve only been here a few months. So I struggled to find something new to say about this 465 horsepower, twin-turbo V6, budget BMW M4 fighter with impeccable handling and an interior that feels only slightly better than your average Chevrolet. 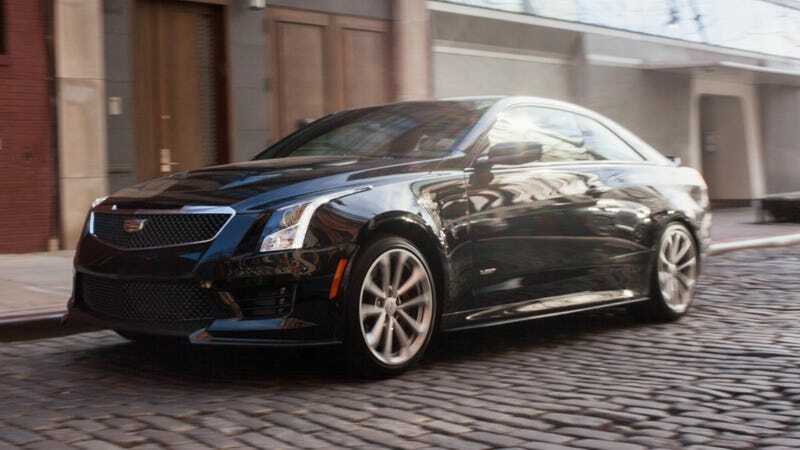 I guess for me, it all boiled down to this: Is the Cadillac ATS-V still good? Yes. It was extremely good.